Anthony Charles Kevin (28 February 1943- ), (aka Tony Kevin) , Australian public servant and diplomat 1968-98, and since 1998 an independent non-fiction author with five published books and numerous print journal and online articles published on diverse issues. He has been awarded several literary prizes. Mother Hermine Kevin (nee Schick), refugee from Vienna in 1938. Father John Charles George Kevin, Australian public servant and diplomat. Children Patrick 1970, Charles 1971, Vanny 1994, Raingsey 1994, Julius 2000. Tony Kevin, as he is known, graduated in Civil Engineering at Sydney University in 1962. From 1963-66 he studied Economics and Political Science at Trinity College Dublin, Ireland, where he was awarded Scholar of the Year in 1964 and graduated as University Gold Medallist with first class honours in 1967. In 1968, Kevin joined the Department of Foreign Affairs, Canberra. After specialist language training in French and Russian, he was posted to Australian Embassy, Moscow as Third, later Second, Secretary, reporting on domestic Soviet affairs, from October 1969 to October 1971. From 1973 to 1975, he was posted as First Secretary, Australian Mission to the United Nations, New York, representing Australia on the First Committee (responsible for arms control and international security issues). In 1976 he transferred on promotion from the Department of Foreign Affairs to the International Division of the Department of the Prime Minister and Cabinet, where he worked until 1986 as a Section Head and later Branch Head, under Prime Ministers Malcolm Fraser and Bob Hawke. Kevin advised on diverse foreign policy issues of interest to the prime minister. He returned to the Department of Foreign Affairs and Trade in 1986, to head the Policy Planning Branch, reporting direct to the Departmental Executive at a time of great changes in the world order. Kevin wrote policy planning papers on topics like consequences of glasnost and perestroika reforms in the Soviet Union, and on the changing role and influence of Islam in Southeast Asia. From 1991 till 1994, he was Australian Ambassador to Poland, adding non-resident accreditations to Czech Republic and Slovakia from 1992 to 1994. From June 1994 till September 1997, he was Australian Ambassador to Cambodia. Highlights of his posting included the tragically ended David Wilson Khmer Rouge hostages crisis in June-November 1994, on which he testified before a Senate Committee into Australian Consular Services in 1996; and the breakdown of the post-UNTAC two-party coalition government in 1997, leading to renewed military conflict between post-communist and royalist factions, and the emergence of post-Communist leader Hun Sen as sole Prime Minister in July 1997. In a complex political-military environment , Kevin and his US, French and UK ambassador colleagues in Phnom Penh argued controversially for recognition of the reality that Hun Sen was the most effective sovereign leader and the best bulwark against any return to civil war and revival of Khmer Rouge violent insurgency in Cambodia. This view prevailed. Kevin retired from the Department of Foreign Affairs and Trade and the Australian public service in February 1998 after a thirty-year career as a diplomat and foreign policy adviser. Since that time he has held no official positions or consultancies, but has maintained an active interest as an independent writer and commentator in Australian foreign policy. Kevin has written many newspaper and journal articles from an independent stance on topics to do with Australian foreign policy, and Australian government treatment of asylum seekers attempting to reach Australia by boat. In 2002, he testified before the Senate Committee into a Certain Maritime Incident, on the 2001 ‘children overboard’ incident at sea, involving alleged events during a Australian navy interception of an asylum-seeker vessel, officially known as SIEV 4, and on the October 2001 sinking of a nameless overloaded asylum-seeker vessel between Indonesia and Australia for which Kevin coined the acronymic name ‘SIEV X’ – ‘suspected illegal entry vessel, unknown’. The name stuck and has entered into official usage. Kevin became a controversial figure for his testimony under oath that in his opinion there was evidence that Australian border protection authorities could and should have done more to save the lives of the 353 SIEV X drowning victims, whose danger at sea they would have been aware of in real time from Australian intelligence sources. For these views, Kevin was sharply criticized by government coalition senators but successfully rebutted these criticisms in the Senate Privileges Committee in October 2002. In April 2003 Tony Kevin was awarded the International Whistleblower of the Year Award by the UK-based organization Index on Censorship, for his investigative work and public advocacy on the sinking of SIEV X. His first book, ‘A Certain Maritime Incident: the Sinking of SIEV X’ (Scribe Publications, first published 2004) was awarded the 2005 NSW Premier’s Literary Award for Multicultural Writing and also the 2005 Australian Capital Territory Book of the Year Award. It was reprinted in 2006 and 2008. His second book, ‘Walking the Camino’, (Scribe, first published 2007), a literary-historical- political travel memoir of his pilgrimage walk through Spain in 2004, was awarded the Australian Capital Territory Book of the Year Award in 2008. His most successful book to date, it has gone into several reprinted editions in Australia and by Scribe’s UK publishing arm, as well as being sold online as an E-book. It continues to sell in Australia and UK. His third book, ‘Crunch Time’, an exploration of the causes and proposed remedies to Australia’s global warming climate crisis, was published by Scribe Publications in 2009. A book written several years before its time, it was only moderately successful and is now quite difficult to obtain. His fourth book, ‘Reluctant Rescuers’, was self-published in Canberra in 2012. It investigated the continuing large numbers of deaths at sea under the Rudd and Gillard Australian Labor governments from 2009 to 2012, from sinkings of overloaded unseaworthy SIEV vessels trying to reach Australia from Indonesia, years during which around 1600 asylum seekers drowned at sea. Kevin’s book argues that most of these victims could and should have been saved if Australian rescue efforts had been more prompt and diligent, in accordance with Australia’s international rescue at sea obligations. His book argues, controversially, that large numbers of deaths at sea were being tacitly accepted and exploited by the Rudd and Gillard governments as a de facto deterrent, and that this unacknowledged but real policy was having damaging effects on the morale and work ethic of Australian border protection maritime forces. Kevin observed two coronial inquests in Perth into SIEV deaths at sea and at Christmas Island, which in his view confirmed the truth of these judgements. His work on asylum-seeker deaths at sea prompted the development of a radically new approach to border protection by the incoming Abbott government in late 2012. Deaths at sea were sharply reduced to almost zero after the newly constituted Border Protection Command adopted Operation Sovereign Borders, a new policy of active naval interception of asylum-seeker boats up close to Indonesia, and the forced return of these boats and/or their passengers to Indonesian territorial waters whenever feasible. Kevin went on record as welcoming these changes in terms of Australia’s safety of life at sea obligations, in the light of continuing public majority support for firm border protection. Kevin continues to advocate closure of the Manus and Nauru detention camps and centres, bringing all the detainees to Australia, as the most humanitarian way to resolve this historical legacy issue that continues to detract seriously from Australia’s international human rights reputation. After 2012 Kevin began to write about current issues in Western relations with Russia and with China. Starting in 2014, he wrote many foreign policy articles that were published in the well-regarded liberal blog ‘Pearls and Irritations’, owned by distinguished former senior public servant John Menadue AO. Kevin ceased to write for Menadue’s blog in October 2017, after a series of disagreements over articles Kevin had submitted. 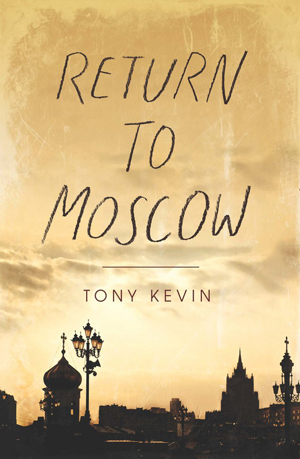 Kevin’s most recent published book, ‘Return to Moscow’ is a cultural-historical-political literary travel memoir of an independent journey he made to Russia in Jan-Feb 2016. It was published by University of Western Australia Publishing in March 2017 and at time of writing has already sold over 2000 copies, mostly in Australia. Kevin continues to speak and write on Australian foreign policy topics of concern to him, from a realist Australian national interest perspective, whenever there is opportunity. He advocates the necessity, if the world is to avoid sliding into a new East-West Cold War even more dangerous to humanity than the last one that ended in 1991, of renewed regular and mutually respectful arms control and detente dialogues among the three nuclear superpowers United States, Russia and China. He opposes the present worsening climate of informal censorship and Russophobia in Australia, which reflects similar trends in US and UK as Russia-West relations worsen. He hopes that his ongoing work, in particular his book ‘Return to Moscow’, may contribute to a better-informed public understanding in Western countries of the necessity, for the sake of preserving world peace, of working realistically towards Western détente with Russia and China. He is a lifetime Emeritus Fellow of the Australian National University, Canberra. He lives in Canberra with his three younger children Vanny, Raingsey and Julius, and his grandson Elijah. Publications, 2007, 2008, ISBN 9781921372339. ‘Reluctant Rescuers - an exploration of the Australian border protection system’s safety record in detecting and intercepting asylum-seeker boats, 1998-2011’, Tony Kevin, self-published, Canberra 2012, ISBN 9780987319005 (pbk) and 9780987319012 (online). a) audio program broadcast, broadcast 6 July 2017, on this MP3 audio file. My ABC Radio National ‘Big Ideas’ lecture on my book ‘Return to Moscow” was given at UWA Institute of Advanced Studies in Perth on 6 June 2017. This audio file, including introduction by Professor Mark Edele, Inaugural Hansen Chair in History in the School of Historical and Philosophical Studies at the University of Melbourne, and audience Q and A, lasts for one hour. - анализ бывшего Западного дипломата"
Reluctant Rescuers’, by Tony Kevin, self-published 2012. The domain www.reluctantrescuers.com has now closed. Tony Kevin still has some copies of the book available for sale at $25 including postage within Australia. Enquiries about ‘Reluctant Rescuers’ or ‘a Certain Maritime Incident- the Sinking of SIEV X’ (Scribe) books to email tonykevin@grapevine.com.au .